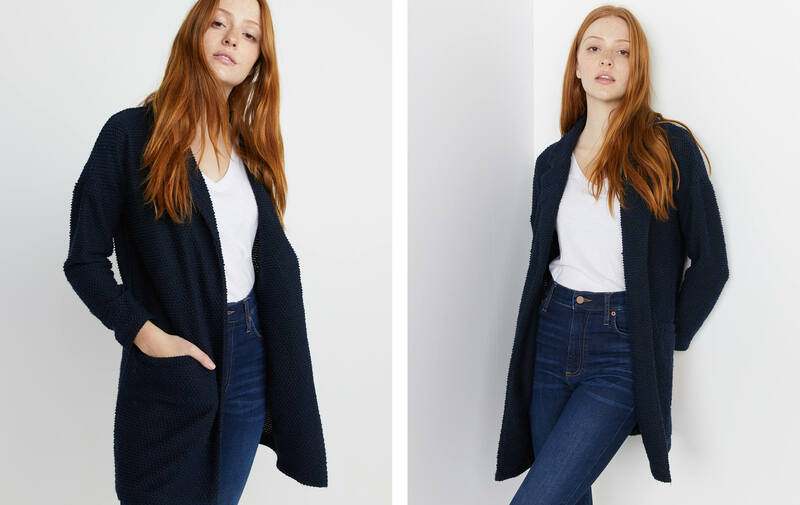 Back by popular demand: the Birdseye coat. 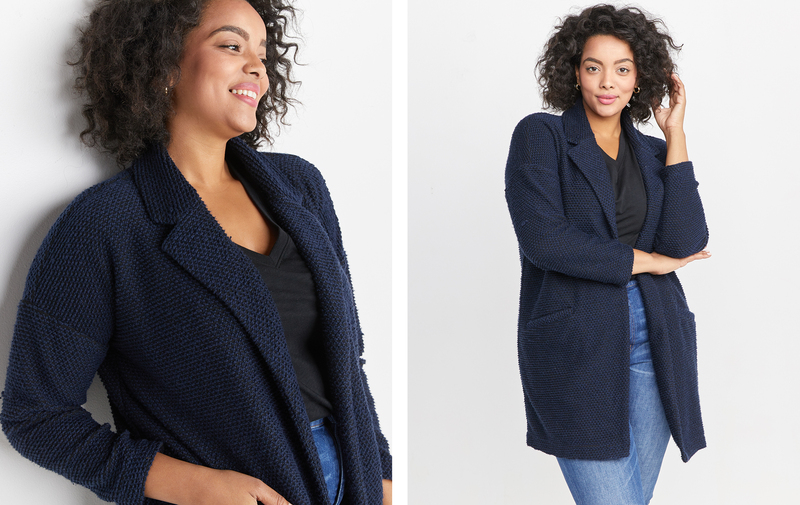 It's like a coat and a cardigan had a baby. An absurdly soft baby. Now in a new color that looks like it's black, but it's got a subtle violet tone to it. 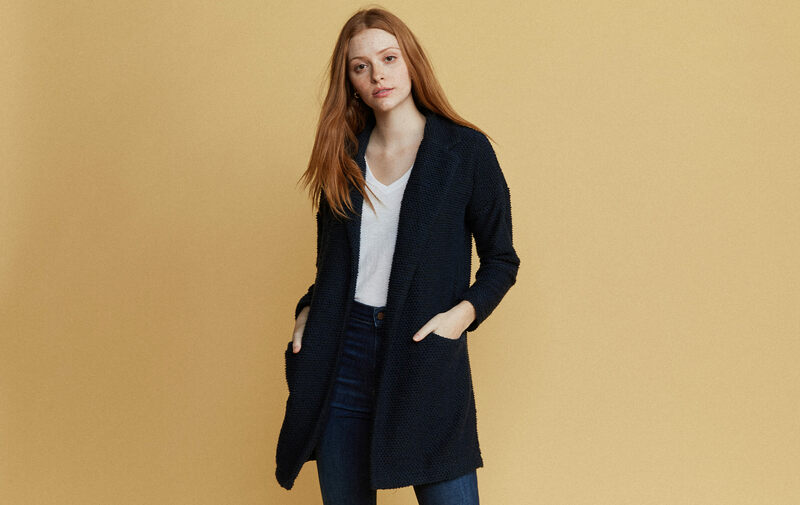 Great for adding color to your closet while still staying in your color comfort zone (all black everything). These sold out in a hot second last year, so grab one while you can.